Size – 64 mm, Weight – 185 Grams. 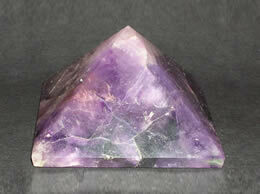 This beautiful amethyst pyramid is made from supreme quality amethyst crystal. 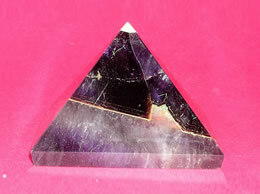 This pyramid has been crafted using the sacred geometry which focuses on radiating perfect energy wherever it is placed. The well rounded edges of the pyramid and the deep purple color of the pyramid with white veins create volumes of good looks. 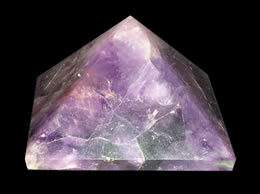 This Amethyst pyramid opens intuitive and psychic abilities. This amethyst pyramid helps to calm the mind, by enabling us to know the peace which lies beyond constant mental activity. It reduces stress and anxiety. 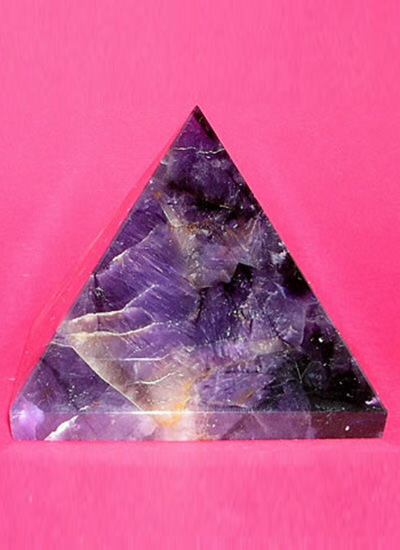 This amethyst pyramid is helpful for addictions and nightmares. 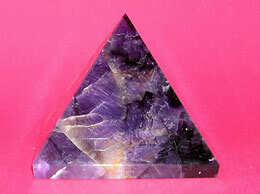 It concentrates on the development of the crown chakra. 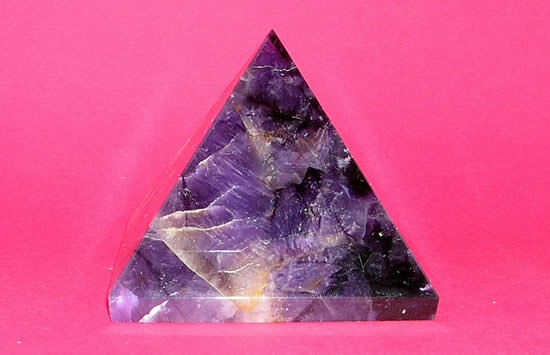 The amethyst pyramid also encourages positive thoughts. Pyramids amplify and then tightly focus energy through the apex. 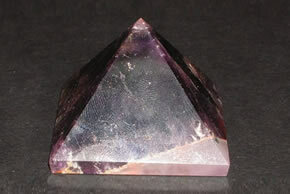 A pyramid is also used to enhance and focus the inherent properties of the stone.